Leave a comment on THIS post by 6 p.m. CT Tuesday, August 9, 2016 to be entered in the DRAWING for a copy of the book below. If you mention in your comment that you’re a follower (see in the left sidebar “Join This Site” and “Follow by Email”), I'll add your name a second time in the drawing. U.S. mailing address required to receive a paper book. I may or may not have read books offered for giveaways. The mention and giveaway of books on my blog does not in any way indicate any manner of my endorsement of said books. Read book giveaway details at Disclaimers. To provide you security, please leave your email address like this: johnATyahooDOTcom. Winner announced in next Thursday's blog post. DEBRA E MARVIN released her first two novellas, Alarmingly Charming from WhiteFire Publishing, and Desert Duet from Forget Me Not Romances, a division of Winged Publications, last year. Now there’s Starlight Serenade, with more novellas contracted. Her unpublished contest successes included The Fab Five, The Maggies, the TARA, Great Expectations, Heart of the Rockies, twice in the Daphne DuMaurier, and the overall winner of the Phoenix Rattler. 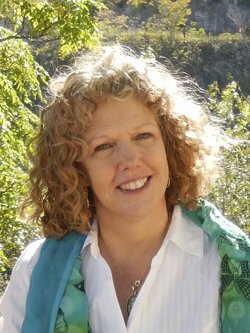 Debra works at Cornell University in upstate NY, and is on the board of Bridges Ministry. She enjoys her family, clever grandchildren, obsessively buying fabric, watching British programming and traveling with her childhood friends. Welcome, Debra. If you could have dinner with one person from today or history (except Jesus) who would it be? Why? I’d love to have dinner with a great-grandmother or great-great, and hear about their life! I’d want to enjoy it and feel relaxed, so I won’t be choosing anyone famous. Wouldn’t it be amazing to meet an ancestor? And have pie for dessert! 1- I’m a hands-on DIYer who’s done plumbing, electrical and many other aspects of “homework.” 2- I basically don’t watch TV, so I hope I never get that category on Jeopardy (as if). (Unless it’s the occasional British mystery online, or Masterpiece Theater) I haven’t even watched DWTS in years. 3- My grandchildren call me Granny–at my request. Most people think it sounds like an old lady, but I like it and I suppose it’s a nod to my British heritage. It’s not always relaxing, but my favorite hobby is working with fabric. I love to make costumes, quilts, doll clothes, etc. It’s something I’ve done since I was little. My grandmother taught me how to knit and crochet and my mother taught me how to embroider and sew. I’ve been making things ever since. I think it’s relaxing to make things with your hands (when you aren’t under pressure to put out quantity! ), and it soothes me to create and see the finished product. I seem to have a string of novellas on the horizon. At least three more will be set in Arizona to add to Desert Duet (Humbug, AZ) and Starlight Serenade (Flagstaff, AZ) from Forget Me Not Romances, a division of Winged Publications. Please tell us a little about your novel, Starlight Serenade. Jo, I hope you had as much fun researching and writing your Route 66 story as I did. It’s really a mystery and a sweet romance tied in together. I was delighted to learn that Flagstaff had an underground tunnel system. 1930 was also the year that Pluto was discovered at the Lowell Observatory in Flagstaff, so I chose that location for my Route 66 story. If readers like to guess the ‘whodunit’ as well as read light, sweet romance, I hope they’ll consider Starlight Serenade. Where can readers purchase Starlight Serenade? Thank you so much for inviting me to visit. I’d love to do a giveaway to one of your readers, so please, dear reader, let me know and safely include your email address if you’re interested! And, I have one question for readers! Do you read and review? Do you know how important that is to a writer’s success? We are always looking for reviewers and you don’t have to be journalist school graduate to qualify. Most readers appreciate a short and simple review of what you liked about a story. Please contact me or Jo and we’ll be happy to help you get started! Debra, thanks for visiting with my readers and me. 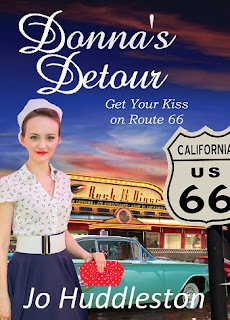 Yes, I enjoyed researching and writing my Route 66 novella, Donna’s Detour. I write sweet Southern romances. In Donna’s Detour, Donna lives in Alabama and takes a road trip with two girlfriends on Route 66, their goal to reach Los Angeles. One commenter will be chosen to receive an eBook copy of Debra’s novella, Starlight Serenade. Commenters, please include your email so that if you win the book drawing I can contact you. The winner of last Thursday’s blog post for a copy of The Things We Knew by Catherine West is Maryann. I’ll email you. Thanks all for commenting. Watch for more book giveaways. thanks so much for hosting me, Jo! I grabbed your story, and I hope you get a lot of new fans for your fiction. Donna's Detour sounds like a great story. 1956 was a SUPER YEAR! ha ha. I'll be checking in later to chat with readers! It's my pleasure to have you visit. Glad you got a copy of my book, Donna's Detour. Hope you enjoy reading Donna and Tommy's story! Readers -- Donna's Detour is FREE today only, August 4, 2016. I read and review . I have a blog Texas Book-aholics. deana0326.blogspot.com. I'm always looking for authirs to review for. Your book sounds really intriguing. Deana, thanks for stopping by and leaving your comment. We authors appreciate reviews! Hi Deana! That's wonderful and thanks so much for sharing that information! Reviewers are GOLD in my book! Ann, thanks for coming by and commenting. I so appreciate the reviews you've posted about my books! Thanks Ann! I like to do the question and answer blog posts because I often feel I've used up all my creativity writing and there's none left for a blog. It's great to have super questions like Jo's to answer! Thanks for commenting! So happy for your new release, Deb! Congratulations! Thanks DeAnna! I know just how you feel. I still collect books like I have time to read them all. Hard habit to break! DeAnna, thanks for commenting. I NEED YOUR EMAIL ADDRESS TO ENTER YOU IN THE BOOK DRAWING SO I CAN CONTACT YOU IF YOU WIN. Liked your interview. Yes, I review at my review blog (Sunnie Reviews) and also on the sites of many book sellers. Would love to review yours! thanks, Sonja! I've 'seen' you around the blogosphere so I really appreciate your offer! Not a period in time that I've read much fiction from. Always looking for new authors, so throw me in the hat. katherineDOTlDOTgoodATgmailDOTcom. Thanks Katherine! It was a new time for me too. I've always written 19th century and then I tried 20th! Thanks for commenting and leaving your address! Katherine, good to find new authors. Thanks for your comment; you're in the hat. Thanks Linda! I hope you know how much authors appreciate a reader who takes the time to review. With the crush of books available 'each day', reviews are so very important! Linda, thanks for following my blog and leaving your comment here! Catherine, thanks for commenting and for following my blog! Thank you for commenting Catherine! Both books have a fun, light feeling and are set in the 30s in Arizona. I admit to getting help with titles. I make a list and send them to my Blog mates at Inkwell Inspirations blog and they always come through helping me to pick or create the ones that feel just right! I love to read and review. I've had a blast since I started my own blog in July of 2013. I signed up to follow this blog by email. Thanks for the chance to win a copy of Debra's novella. It sounds wonderful. Thanks Debbie. I'm glad to see your name in for a chance to win! I appreciate your encouragement! Debbie, you're welcome. Thanks for commenting and I appreciate you following my blog! Starlight Serenade has a bit of a mystery going on. So watch for red herrings along with the romance! Thanks for commenting, Britney! Britney, thanks for stopping by and leaving your comment. 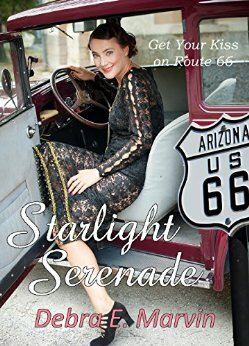 Debra and Jo, I enjoyed reading your interview and learning about Starlight Serenade. I have been reviewing books for the last year and even though I don't have a current blog. I do post my reviews on Amazon, Barnes & Noble, GoodReads, Christianbook.com and Deeper Shopping. Sorry, auto correct kicked in. Jo, I do follow you! Thanks for commenting, Connie, and letting us know about all those resources where you place your reviews. I've never heard of Deeper Shopping! I hope you know how much authors appreciate reviewers! Connie, glad you enjoyed the interview. I appreciate you following my blog! Kelly, thanks for leaving your comment and for following my blog! I definitely read and review. I appreciate the job a writer does and if I can help in any way, that is what I will do. I am a follower! Thanks Melanie! I appreciate your kind words and offer! Best wishes for the giveaway! Hi Melanie! Nice to see you here. Thanks for commenting! You're in the drawing. Jo will be drawing a name soon! Melanie, thanks for coming by to leave your comment. I appreciate you following my blog and for your reviews of my books!